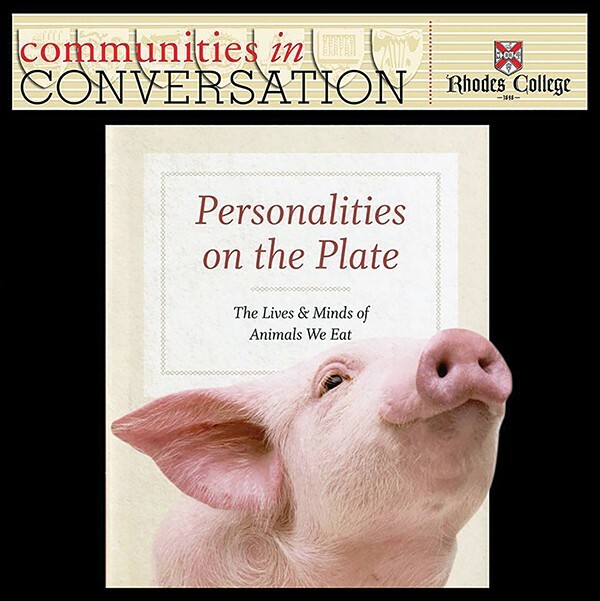 Personalities on the Plate author Barbara J. King isn't out to convert the planet to veganism. "As an anthropologist, I know that love of food is deeply rooted in cultural and family traditions as well as in sensory pleasures," she says, acknowledging Memphis' rich history as a barbecue capital. But most pork products come from factory farms where, according to King, "the very thinking and feeling abilities of pigs make their suffering especially acute." King's an anthropology professor at the College of William and Mary, but she's visiting Rhodes on Thursday, March 21st, to deliver a lecture based on her premise, "that it's a good thing for each one of us to inform ourselves about who we eat, about what their lives are like. The wives tell their story. "Pigs are widely understood to be smart mammals," she says, calling out porcine celebrities like Canadian Facebook star, Esther the Wonder Pig. They are good at acing cognition tests, problem-solving using mirrors, reacting intelligently to our symbols, and beating young kids in computer-based games." All of that is based on a human standard, however, and King prefers to look at pigs on their own terms. "They're fun-loving," she adds. "Intensely loyal, express a wide range of emotions from joy to sadness in their daily lives." To many people, they are also a delicious dietary staple. "Yet I think we can take heart," King concludes. "More and more, people are waking up to the urgent ethical issues surrounding the cost of meat and dairy consumption not only for other animals but for our whole planet. In this regard, it's a very exciting time."